The Fern Theatre presents William Shakespeare's most famous love story, Romeo and Juliet, starring an All Female Cast November 6-22nd. Romeo and Juliet is the third installment of The Fern's Classically Female Series which explores classical plays as produced with an all female cast and crew. The Bard's famous tragic love story is brought to life as performed by a cast of 8 women all playing numerous characters. In the war-torn streets of Verona, two star crossed lovers find solace and meaning in each other. Their parents' years of fighting cannot deter their affections. Can their love truly conquer all or will violence only beget more violence? Performances of Romeo and Juliet was performed in the Backstage Theatre at 7 Stages Theatre 1105 Euclid Ave NE, Atlanta, GA 30307 Friday, November 6th -Thursdays, Fridays, and Saturday evenings at 8pm and Sundays at 2pm through November 22nd. Romeo and Juliet was directed by The Fern Theatre's Co-Artistic Director Jessica Fern Hunt and stars: Bryn Striepe, Danielle Thorsen, Kristin Storla, Mandi Lee Rushing, Joanna Daniel, Candace Mabry, Betty Mitchell and Kirstin Calvert. Kelsey Hook serves as Stage Manager, Candace Kitchens serves as ASM. 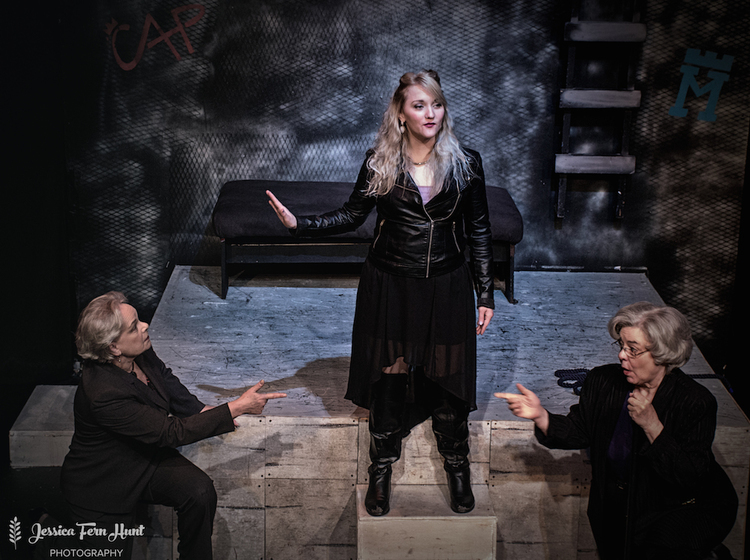 Fight Choreography by Kristin Storla, Set Design by Sarah Lashinsky and Lighting design by Christa Wood.